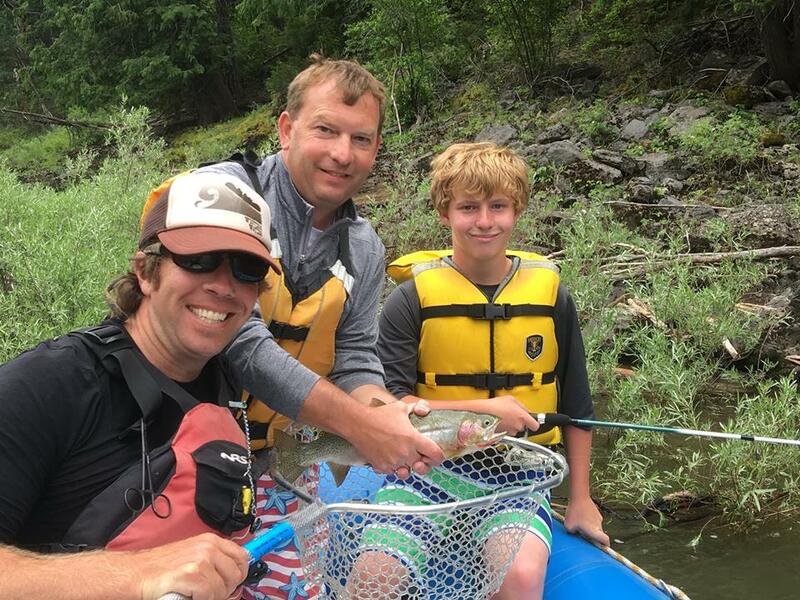 We offer a Private Combination Family Fishing Adventure with Whitewater Rafting on the Clark Fork River for one to five people for a FULL DAY (8 hours). 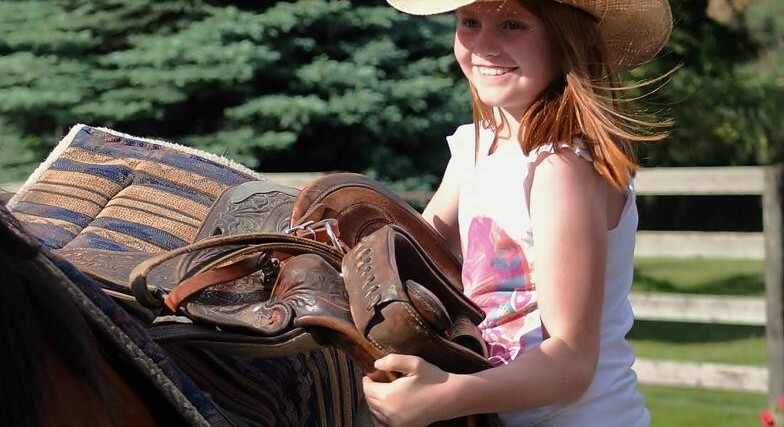 Our suggested age is 6 years old and up (4 or 5 in August through the fall season). 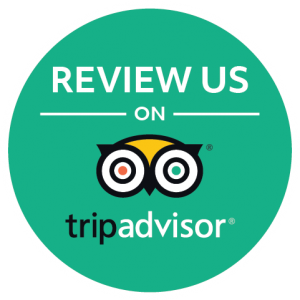 This trip includes a licensed fishing guide, fabulous catered lunches, a full day of white water Class II and III adventure, cliff jumping, beach breaks, and fish catching for the whole family on a single private guided boat. 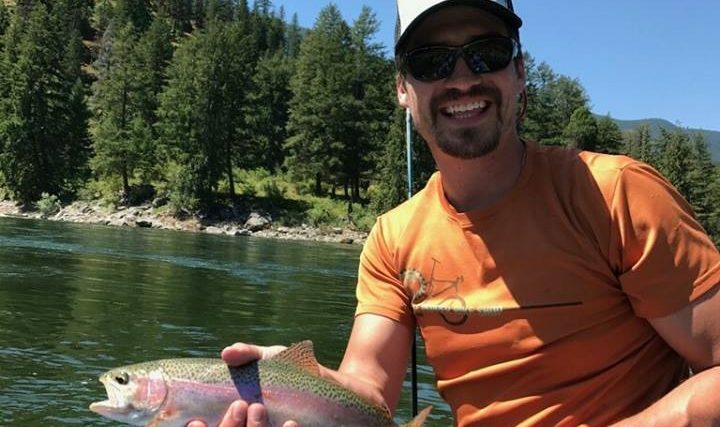 Your guide is trained on working with families to catch fish, be safe, and learn about the thrilling attributes of moving water and our beautiful Montana wilderness. 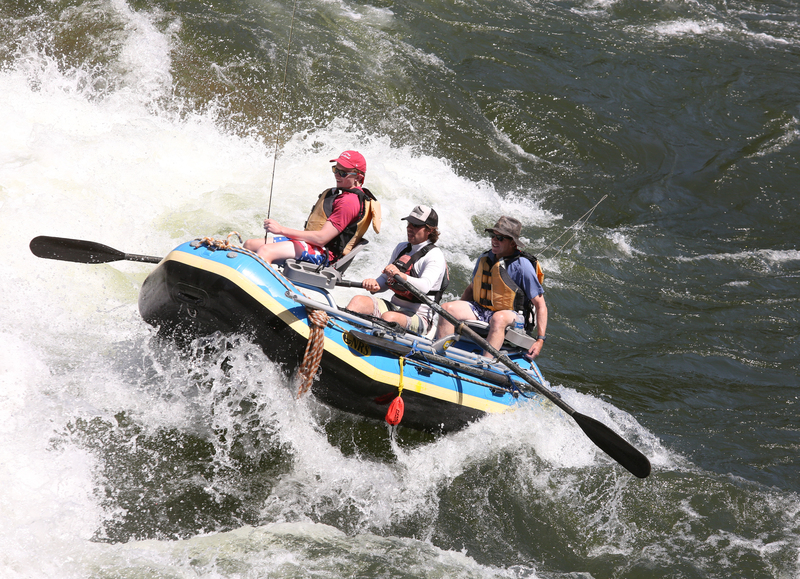 They have two great skills: fishing and whitewater navigation which makes them amazing people and our favorite guides! 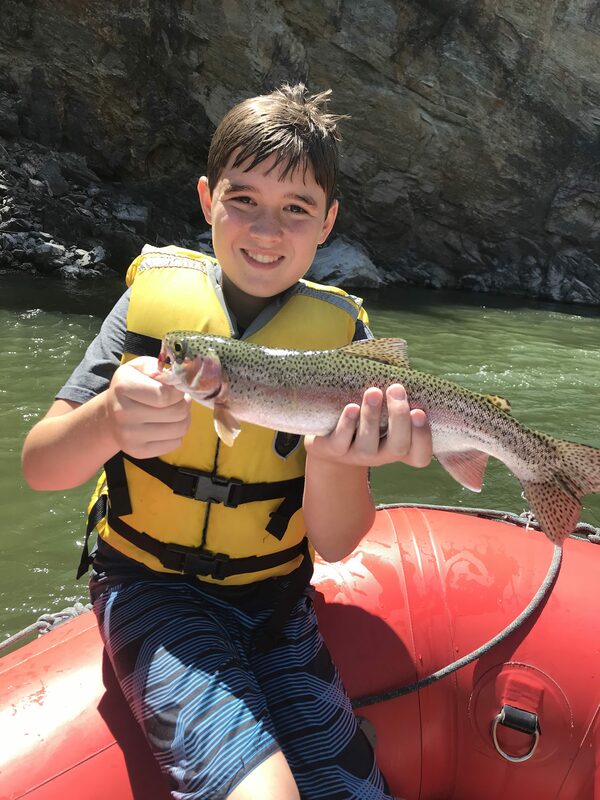 We recommend the Alberton Gorge section of the Clark Fork as an unforgettable world class family fishing adventure not to miss while living or recreating in the North Idaho or Western Montana area, or simply traveling through. Because a family of people means a busy raft, we do mostly spin fishing. If you would like to try it or are an avid fly fisher and would like to fly fish this section please let your guide know and we will pack a fly rod for you! Boat set ups are geared for 1-5 people. You are welcome to book more than one boat to accommodate a larger group/family! Keep in mind, we have few guides that can navigate whitewater and have the experience and license to guide fishing so plan ahead! 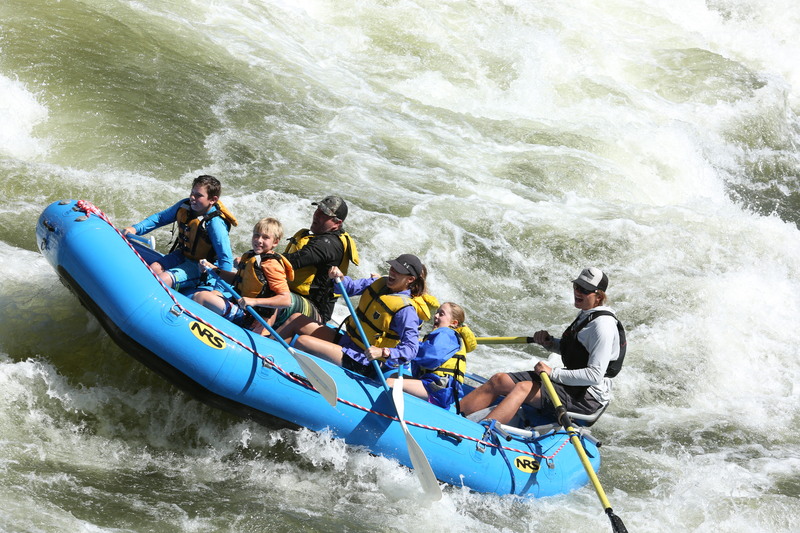 Meet at our sister company, Adventure Missoula, rafting and fishing headquarters and raft shop 35 minutes west of Missoula (2 hours from Coeur d’Alene) at the river put in. We are located just off I-90 at Cyr Exit.